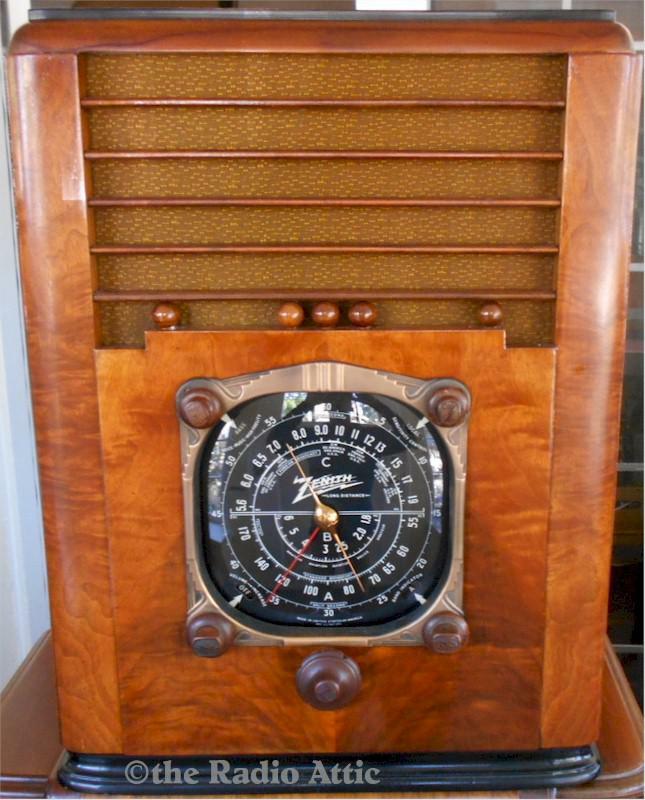 This is a large table radio with a big sound! These are getting harder and harder to find, so if you are looking, this radio is one of the best I have seen. We do a complete electronics check of our radios, replacing all the capacitors, resistors where needed, as well as the tubes if necessary. If the radio has a problem, we trouble-shoot it till we find the issue and fix it. These larger radios, along with our console radios, are professionally packed and shipped via Greyhound. At 22-3/4"H x 16-3/4"W x 12-1/2"D, it will be a focal point in any room. You are visitor number 1,919 to this page.